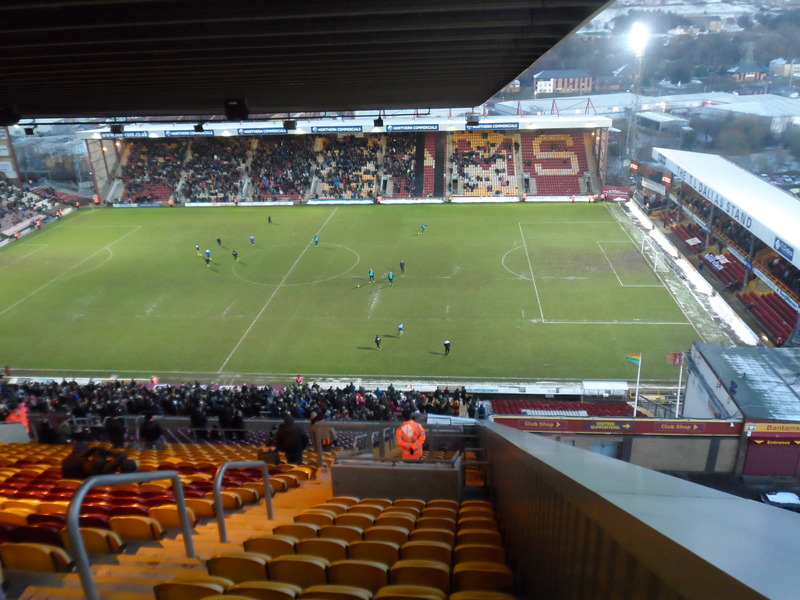 This is supposed to be a hugely exciting week for Bradford City, but after the fall out over the Reading tickets the mood is flat and the positive outlook is dented. Season ticket holders are now almost fully sorted out with a ticket for the big FA Cup game, albeit many will not be sat in an area of the stadium they would have chosen. The club has gone to huge lengths to satisfy demand and rectify their colossal mistake. Importantly, they have shown humility too in apologising for the upset they unknowingly caused. Nevertheless, it may take some time for people to forgive and forget. It all leaves a mood that is difficult to judge. The PR and marketing side of the club was impressive in terms of ramping up the mood prior to the FA Cup games against Millwall, Chelsea and Sunderland – a tone of excitement, positivity and even a bit of cheekiness that sat well. It remains to be seen if City can be so extrovert again over the next few days, or if such attempts would be met with incredulity or disdain. After the successful display of claret and amber by the Kop prior to the Sunderland game, a new campaign will be unveiled on Tuesday. Perhaps tellingly, it will be Friends of BCFC who drive this initiative rather than the club, who are nevertheless behind it. Direct relations between Bradford City and season ticket holders are damaged, and it is hard to repair that in such little time. You fear that this might have a negative effect on the atmosphere around the Reading game. Reaching the semi finals is far from impossible, but has arguably been made more difficult by recent events. Compounding the fall out has been the frustration that the scenario of ticketless season ticket holders wasn’t an improbable one to have envisaged. The criticism directed at the club isn’t an exercise in hindsight; many people warned the club but were not listened to. The free-for-all Sunderland ticket sales was tolerated but sat uneasily with people. The view was that City got away with it that time, but were setting themselves up for huge problems by repeating it. They misjudged the mood of the fans, or perhaps more accurately underestimated their own achievements. The Bradford City board have done amazing things by keeping season ticket prices so low since 2007; in doing so they have built up a stronger fanbase which has grown further following the incredible endevours of the team over the past three seasons. Of course, a home game with Reading was not guaranteed to be a sell out – but then it was never going to matter to most people whether City were lining up in the quarter finals against Wayne Rooney or Simon Cox. 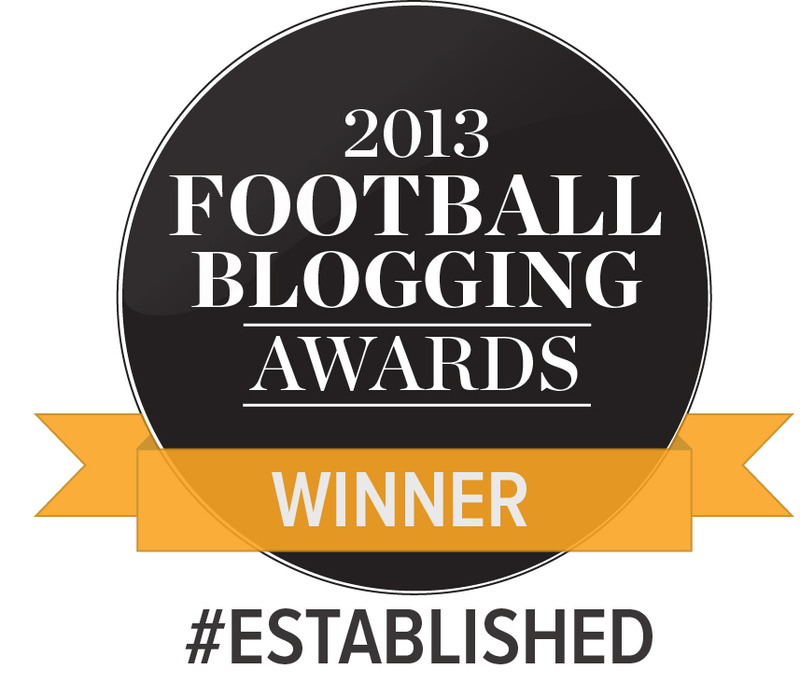 The story here is Bradford City and their stunning achievements – and everyone wants to see the next chapter. It is also true that everyone – including season ticket holders – fails to appreciate just how deep our support runs. Season ticket and flexi-card holders are not the only people who turn up to games, over the course of the season there are many other people who might take in one or two matches, or exiles who live away but travel up when they can or go to away games. City have a sizeable London-based support for example, and if you ever go and watch the Bantams play South of Birmingham you will regularly see these people amongst the visiting fans. The point is that we don’t merely have 12,000 Bradford City supporters, and there was always going to be huge, huge interest in the game. Especially when tickets were only £15 and BBC opted not to screen the game live on TV. And the debate about who deserved a ticket and who didn’t goes right to the soul of what it is to support a football club. Whether you are a die-hard, casual, long-term, recent, exiled or lapsed – there is one huge aspect to the Reading game that is different to anything we’ve experienced. The sold out signs have never been put up so quickly. It has never been such a challenge to attend a Bradford City home game. The door has always been open to everyone. This is the first time it has been shut on people, and that is hard to take. We are not Manchester United supporters, where part of the fabric of supporting them is that it is extremely difficult to get a ticket. We are Bradford City, and we rarely do sell outs. The club has to understand how not getting a ticket has left people feeling, and ensure that supporters who wanted to go this Saturday but won’t be in attendance are not lost. They matter. As for the ticket sale strategy, a comparison should be made to the 2013 Burton play off away leg tickets. The club originally announced that tickets for this game would be placed on sale straight after the home leg had finished, with the good intention that it would save people an additional trip to Valley Parade to buy a ticket. Yet huge concerns were raised over the prospect of crazy scenes trying to queue orderly outside the ground at full time, or that people would have to leave the game early in order to get a good place in the queue. The club listened, and agreed on a different system instead. Everyone was happy. “Feedback is a gift” as my manager always says (usually before criticising an article I have written). The club should have welcomed the feedback they received in between announcing the Reading ticket sales procedure and tickets going on sale, and they should have paid more consideration towards acting upon it. The Burton u-turn happened under the regime of former CEO David Baldwin, whose name has cropped up often these past two weeks, usually at the end of a sentence that begins “This wouldn’t have happened under…”. No one can deny that ticket sales for big games ran much smoother under Baldwin, and the remarkable job he performed at Valley Parade was always going to prove a difficult act to follow. The result is that Baldwin’s replacement, James Mason, has been made scapegoat and there have been calls for him to resign. The logic that he must bear responsibility is understandable but also unfair. It is very unlikely that he was solely culpable for the ticket strategy and failings against Chelsea, Sunderland and Reading. He did not, for example, set up the online ticket system that failed so badly – he inherited it. He would also not have been the only decision-maker over the unlimited sales decision that backfired so badly. It would be a Board decision, just as many of Baldwin’s decisions would have been undertaken with the help and approval of the Board. And this is where the strategy needs to be considered. On the field, the club has progressed significantly over the past three seasons, but off it not much is different. The club employs a skeleton level of staff, with the mantra that as much money as possible must go onto the team instead. It is a commendable approach to have – and let’s be clear, we are now using hindsight – but to keep the club moving it needs more staff and greater resources. One has to wonder what it feels like to be employed by Bradford City of late, for example in the ticket office. To be expected to work long hours sorting out the ticket chaos, and unfairly receiving anger and even abuse from upset fans over decisions that were not of their own making. It is fantastic that Mark Lawn pitched in with calling season ticket holders to sort their tickets out – and it really is fantastic he would do that – we’d surely all rather have a football club structure that doesn’t need its chairmen to have to resort to this. The pitch and the online ticket system are two neglected areas that have come back to bite. The latter worked well in 2012, but anyone who works with websites (as I do in my day job) will tell you that they need continual investment to remain effective. At some point the club might have been told by the software company that they need to pay for an upgrade, and possibly elected not to do so. That is an assumption on my part, but a reasonable one to make. Bradford City is no longer a club fighting to remain in the Football League, where it can ignore certain basics and ask fans to raise money for essential items. We have realistic ambitions of becoming a Championship club, yet seem to be lacking certain foundations. It’s not just about doing current things better, but having the resource to focus on other aspects that are forgotten or not even considered. And if you don’t believe that sort of vision is important, consider where City might be now without Nick Allamby. Before he arrived, no one demanded we needed a Head of Sports Science and Fitness. Now we cannot manage without one. The other aspect that needs some self-reflection is the culture from the very top. The belated apology to fans over the ticket mess was very welcome, yet a note from the Supporters Board suggests it only happened because of their prompting. Apparently the Supporters Board had to instruct the club to use the word “sorry”. Massive kudos to the increasingly criticised Supporters Board for standing up to the club, but it doesn’t reflect well on Bradford City that they were apparently not going to apologise for the upset they caused. Indeed, prior to last week, the only person employed by the club to apologise recently was Phil Parkinson – and tellingly that was for insulting board members. The upset over people queuing for hours in the snow for a Chelsea ticket apparently didn’t warrant the word “sorry”. Meanwhile, City Gent columnist John Watmough has highlighted disparaging comments made by director Roger Owen last November, in the programme, apparently aimed at former employee Steven Hawthorn-Emmett. Is it right that a director publically criticises someone who worked for the club for several years? What is to be gained from this level of pettiness? No one doubts that the Board work very hard for the good of fans, and they can share credit in the turnaround of the club under Parkinson. But the fallout of late requires them to take a step back, look at how they can continue City’s upwards progress, and build a stronger, happier, sustainable football club. They cannot undo the pitch and Reading ticket mistakes, but have shown commendable vigour in fixing the damage. Now they need to evaluate how these mistakes happened, so they aren’t repeated. These are amazing times for Bradford City; but it is not just the players and manager who need to ensure that these successes become the norm rather than the exception. Great article and one that needed to be written. Let’s hope those on high recognise that if we have ambitions to be a Championship club investment is required on more than coaching and playing staff. Great to see someone recognise the exiles too. As a supporter based in the south who goes to more away than home games, I do get fed up of the posts on social media by some self proclaimed season ticket die hards about how worthy they are and that everyone else is plastic. The Burton ticketing was still bad because people had to queue overnight to ensure they got a ticket. This is the main reason the away ticket priority scheme was brought in. I’m sure that by Saturday the ticket fiasco will be forgotten and supporters will get behind the team. Spot on Jason sorry being the operative word here let’s hope lessons are learnt and supporters are shown a bit more respect . Time to move on and do what we do best supporting Bradford City at this crucial time .Lets hope we are history makers again! CmonCity! Caz. An excellent post Jason, making a very important point. I’d like to add that if we are promoted to the Championship this season or next, we will have a much lower budget than the clubs we play against who receive parachute payments or whose owners are determined to spend their way to the Premier League. The club will have to be smart when it comes to making and spending money, and getting ticketing right will be a critical part of that. On the spending side, the manager will need more help with coaching and/or player recruitment. I agree Mal. Promotion would be very tough purely due the financial inequity and Bradford City will need to have a very sharp recruitment strategy to persuade players to come to us, as opposed to following the money. We often talk about the rollercoaster ride at Bradford City, but not when trying to book tickets for a little game with Reading. After the pain and anguish suffered last Sunday I was distraught to hear that some colleagues at work already had tickets. In their ignorance, one of them actually suggested that being a Season Ticket holder meant I had my own seat – exclusively! If only…. Long story short, I have since spoken to the enigmatic James Mason and have secured tickets for the game. Let’s hope lessons are learned before next months trip to Wembley…..
It’s easy to forget that a few years ago we couldn’t win a cup game and were shockingly bad all round. The ticket saga will be forgotten momentarily if we win – if – and the measure of how the club has responded then will be how we fare with Wembley tickets. Given the numbers it only seems likely a three tickets per ST/flexi/away priority card for the semi and two for the final would work, and of course even then it would leave a lot if people disappointed. Who wouldn’t want to be there? I’m fully prepared to miss out even though I live 5 miles from Wembley. Forget all the arguments about ticket stubs etc, way too complex. The club will try it’s best. And keep it all in context – we may not have to grapple with these conundrums again for a while. Whilst you can appreciate the need to keep this site ticking over this article really adds nothing of any significance to the debate about ticketing which has been done to death. Those who run the club are sensible enough to learn lessons and it does not really assist to regurgitate the blindingly obvious now. The wider point about the structure of the club again is something which they will be well aware of. As we move to the next level staffing will have to change. Most lower league football clubs would hope to have a sufficiently large pool of goodwill to navigate such problems. We have that its our club and the gloss of recent success has not been taken off for me at any rate Has club has not been sufficiently apologetic? I think so….unless one is hyper sensitive! It has been a debate done elsewhere rather than here, hence I thought I might add my own view. Sorry to have wasted your time. I appreciate Jason that editorially you have to tread a careful path between fans and club. No offence is intended.Some fans expect blue chip “customer” service from club others are more sanguine. The club is run sensibly and sustainably on a small budget and rather that than Richmondesq excess. Both ticketing/pitch problems no doubt in part result from under funding. I’d like to thank Jason for being the first that I’ve seen to actually recognise that there are supporters who don’t live in Bradford. I go to around 8 games a year (mostly away) taking my 3 boys and my Dad accompanies us to the rare home game. Probably around £600 spent per year but when it comes to the big games (which have been in short supply since the last QF I watched) we are not even acknowledged. I have had no acknowledgement at all to any request I’ve made and seen nothing from the club that suggests that anybody other than ST holders or flexi card holders is noteworthy. AND when it comes to the semi (hopefully) we will be ignored again – I hope City win but we are not welcome. Couldn’t agree more with you, Rob. I had reason to meet James Mason on a separate matter today and for the record happy to endorse him as a decent bloke, strong credentials as a supporter and sensible talking. It’s easy to point fingers and make assumptions but genuinely I can say that he gives me confidence. I think we all underestimate the extent to which that the club has been run on a shoestring and that there is no quick fix. A very sensible and reasoned article. Thank you Jason. I do worry about a culture where “sorry” is the hardest word to say. At least Mark Lawn eventually went before the media to take the blame for the Reading ticket shambles and quite right too! And on the subject of investment, someone should look at how the Club use its web site to inform fans of latest developments. Clear and concise information from an authorised source would stop much of the rumour and miss information that fills social media these days. Thank you, Jason, for a well-reasoned article. And thanks in particular for mentioning those City fans who live far off. Having moved to Ipswich in 2006 I reluctantly let my season ticket go and have since been limited to only a handful of home games per season but regular attendance at away games in East Anglia and the South East. The last couple of weeks have been beyond frustration as it became increasingly clear that the unthinking fill-the-ground-at-all-costs strategy of the Club was outrageously leaving ST holders without a ticket but also those of us who rely on at least the hope of a few tickets trickling through to general sale (I had picked up my ticket for the Sunderland game under general sale with no difficulty and hadn’t been aware of the underlying ST ‘wholesaling’ problem at that time). This all stands in such contrast to the way in which the Club and ticket office staff worked with and for supporters at the time of the League Cup Final, and such Club initiatives as midweek at Wycombe in the snow for free. You mention the damage done to relations between the Club and ST holders; quite right. But might I offer just a small but bright gleam of light for the Club’s relations with at least one longstanding fan…….Having fought off the siren calls in my head to pay £130+ for a ticket on the tout site that shall not be named and so having reconciled myself to driving up to watch the game in a pub near the ground, yesterday morning I decided to give the ticket office a ring just one more time. The answer was still no, there were no tickets on general sale, but there might be a chance of some becoming available later in the day; leave us your name and number and we’ll see, no promises mind. Four hours later the ticket office called me back and I now have a ticket for tomorrow. Panic over, all smiles. Now I’m not daft – nor, I hope, selfish – enough to completely forget all that frustration and ire just because I’ve now got a ticket, especially as I’m sure that however many tickets ultimately went on general sale yesterday some fans will still have been disappointed. But a good experience just when I thought that the Club had lost most of the goodwill I had left will go a long way. Of course there has been a way round this problem if I had but accepted it at the start of the season – the Flexi Card. I had previously discounted this option as it seemed unfair for me, an exile likely only to make 2 or 3 home games, to have the sheer gall to reserve a seat for my own benefit. But given recent experience I might just overcome these scruples and apply for one next season. And given the reassurance I received yesterday that the Club can still treat fans the right way at the individual level at least, I’ll be writing that particular cheque with a gladder heart. As the old saying goes – give a man a fish and you feed him for a day; give a man a ticket for City v Reading in the FA Cup quarter-final and make him understand the usefulness of the Flexi Card and he’ll feed himself for life. Or something like that.